This past month I’ve done more Chinese face readings, space clearings and energy work than I expected. 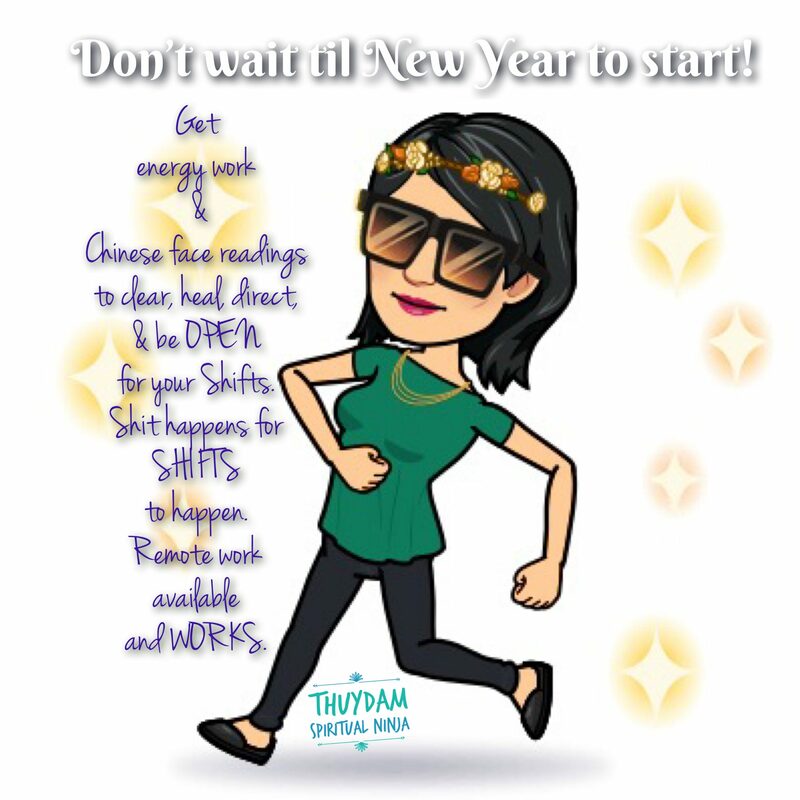 Clients wanted to get a head start and also get rid of the bad energy from the year. Many have already reported shifts…joy to my heart. If you’ve never had energy work done, I invite you to let the universe guide you. Energies always sync up. Removing negative energy brings you peace, clarity, wisdom, compassion, and opportunities. This is the “metal” season according to Chinese Medicine. Many things are dying off. They must die off for new energies to grow. If you don’t know what your soul is telling you, how to clear out the bad energy, and direct energy, you’ll be REACTIVE. When you want to start anything new, make room for it. You can’t fill a full cup. I always recommend clearing your space you are around most, even if its one little area. You must move the energy for the CHI to flow. Move the furniture around, get rid of something, place things that make you feel good NOW…sage, palo santo, burn incense or light a candle there. Invite the energy in and create a sacred space for it to want to stay. Get rid of the old bad negative energy. People that are sensitive to environments, this impacts you more than you know.